High drama takes place even among the tiny, almost unnoticeable creatures in the most remote parts of the world. In the frigid waters of Antarctica, for example, there’s a tiny plankton which kidnaps even tinier chemists for its protection. The tiny shrimp-like creature has absolutely no defense of its own. But this creature is not a shrimp without a plan. As it searches about, it may find an even smaller snail-like pteropod that it will fasten to its back. The pteropod makes a chemical which fish hate. Fish which have tried to eat one of the shrimp-like creatures with its chemist backpack have been seen to shake their heads violently and spit the pair out. But the shrimp’s captive backpack slows down his foraging for food. So after several days, the shrimp releases the pteropod unharmed to search for more food and, hopefully soon, another pteropod. It sounds rather silly to suggest that one day, many years ago, one of these tiny plankton noticed that fish never ate pteropods because they produce a chemical defense. 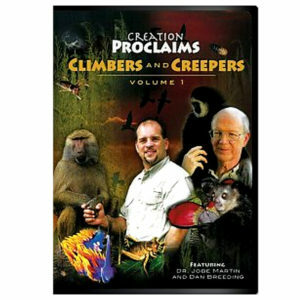 Who would suggest that once he told his friends, all the shrimp-like plankton started kidnapping pteropods? This strategy was obviously taught to the plankton by the Creator Himself. Dear Lord, there is nothing that You have made that You do not care about. Fill me with the same love and concern for what You have created. Help me to love my fellow human beings as you do. Amen. 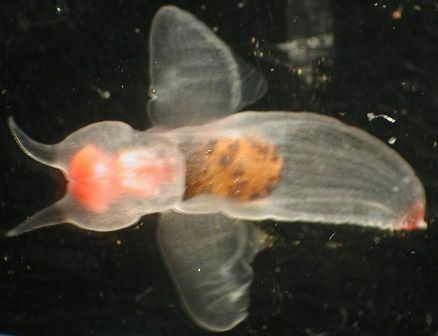 Photo: Sea angel was once known as a pteropod.